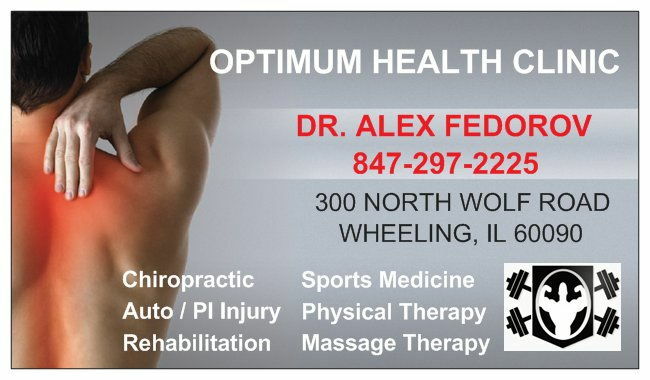 At the Optimum Health Clinic Dr. Fedorov uses non-surgical spinal decompression to treat back pain with disc bulging / herniation/ protrusion with great success. We are the only office in Prospect Heights currently offering Spinal Decompression technology. Spinal Decompression is quickly becoming the best conservative treatment option for many patients suffering the effects of Disc herniation or Bulges of neck (cervical) discs with or without shooting pain into the arms or low back (lumbar) discs with or without shooting pain into the legs (Sciatica), Spinal Stenosis, Degenerative changes (degenerative disc disease), and shooting pains down the leg or arm. Dr. Fedorov incorporates a unique spinal decompression protocol of intermittent traction using Chattanooga TX Traction System combined with manual medicine, physical therapy modalities and home exercising and stretching. At the Optimum Health Clinic our objective is not only to treat and relieve the back pain, but to address the underlying bio-mechanical mechanism of why the disc herniated. Often through structural muscular skeletal correction the posture of the spine can be corrected decreasing the probability of future disc herniation. The first step is a detailed history and physical exam including neurological and orthopedic testing, from this data it is often evident which nerve level is impinged and the extent of disc herniation. Often Dr. Fedorov will often order an MRI to confirm the physical exam findings (from the MRI can measure exactly the location and the dimensions of disc herniation / bulging / protrusion). Spinal decompression is effective for therapy not appropriate for everyone; certain conditions such as prior spinal fusion surgery are counter indicated for traction. If you or a loved one is suffering with any of the conditions mentioned above, that you have a consultation with Dr. Fedorov to see if SPINAL DECOMPRESSION therapy is right for you. Research on Spinal Decompression Click Here.